The latest products from leading UK based 19 inch rack specialist designer, manufacturer and supplier Pro Audio Stash (PAS) are now available through the company’s US office in Austin, Texas. PAS has recently expanded its range of stylish wood finish Credenza rack units due to popular demand and foresight based on changes in digital technology prompting the requirement for elements of home entertainment / smart-home systems to be combined into elegant, integrated packages. These are also ideal for all commercial applications. 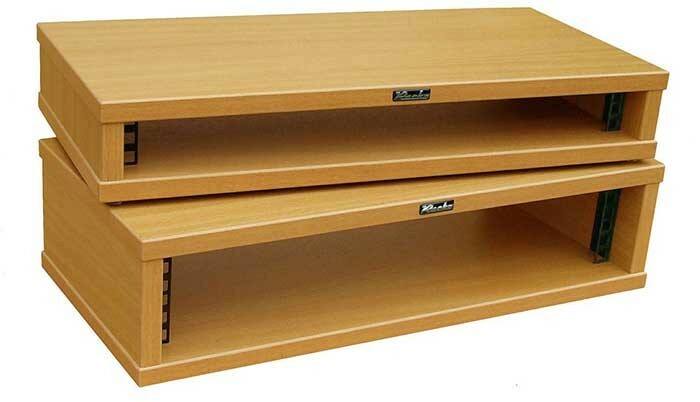 The Credenza range is a simple self-assembly product, designed for quick, efficient and stress-free set up … even for those challenged with DIY skills! 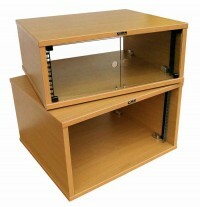 Credenza racks fit together like LEGO and are stabilised by tightening eight screws. The finishes currently available are Beech, Knotty Oak and Black Ash. Cool extras like smoked Plexiglass ‘barn door’ kits are available as an optional extra, adding a real flourish of sophistication. The range is constantly expanding, and recent orders include some specials which were produced to house a selection of office computers and file servers. Other new PAS products include an extension of the popular Sloping Console Top racks which now includes a new deeper 12U unit. This follows the trend for leading audio manufacturers to increase their designs from 10 to 12U formats and so far the accompanying rack-mounts have been a big hit in the education installation sector in particular. The 19 inch racking market is constantly evolving and changing all the time, with an increasing crossover between the once separate areas of AV, IT and surveillance. As the world gets ‘smaller and smarter’ more and increasingly dynamic 19 inch rack solutions are required into which the relevant hardware can be fitted. PAS predicts that with so much commercial, industrial and domestic infrastructure now being computer controlled the demand for quality, innovative racking solutions will continue, especially with the on-going development for smart-homes and home-office working practices. Pro Audio Stash addresses this need with a range of highly crafted, quality-engineered products manufactured in the UK and designed by industry specialists with real hands-on knowledge. Pro Audio Stash is part of the Penn-Elcom Group.